When parents tour a Montessori school they often ask about the difference between play and work. In the classroom, we use the term work in order to hold it in high regard and respect it as purposeful and meaningful. In a Montessori primary classroom (3-6 years of age), the child is in charge of his day. He can use his 2-3 hour work cycle as he chooses. He moves from one activity to the next; his concentration is uninterrupted and he is free to follow his internal drive to explore and learn. PLEASURABLE: Children must enjoy the activity or it is not play. INTRINSICALLY MOTIVATED: Children engage in play simply for the satisfaction the behavior itself brings. It has no extrinsically motivated function or goal. PROCESS-ORIENTED: When children play, the means are for more important than the ends. FREELY CHOSEN: It is spontaneous and voluntary. If a child is pressured, he will likely not think of the activity as play. ACTIVELY ENGAGED: Players must be physically and/or mentally involved in the activity. At MNS, you can take each of the characteristics above and simply substitute "learning" for the word "play." Once a child has grown accustomed to the classroom expectations and the routine of the school day, he moves from one activity to the next, usually with very little adult interaction. He sometimes will choose to be in a group activity or check-in with a teacher through conversation. But for the most part, he plans his day and proceeds with his “auto-education,” as Montessori called it. The child’s ability to do this is what provides each child the specific education they need, and allows each teacher the ability to observe each child and his growth. 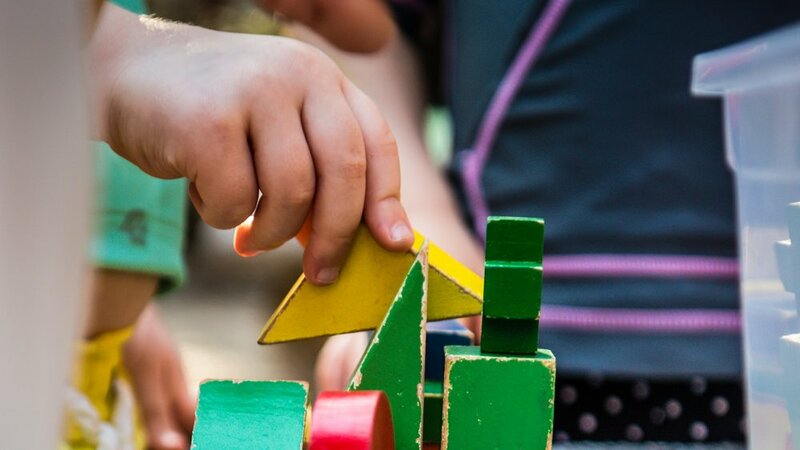 For more information on the vital role that play has in a Montessori classroom, check out this article.